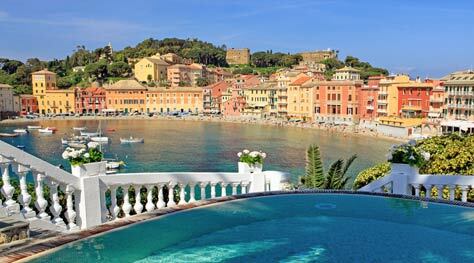 Camogli, Santa Margherita, Portofino: the pearls of the Ligurian Riviera. To reach Portofino from Genoa, you'll need to take the Aurelia: the old Roman road which hugs the entire length of the Ligurian coast. 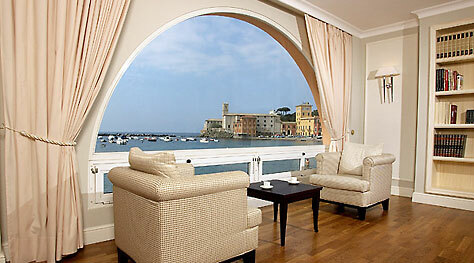 The first town on this itinerary is Bogliasco. In the main piazza, which overlooks the black sandy beach, stop to take a peek inside the 18th century Church of the Natività di Maria before making your way up to the castle, built to protect the town from constant raids from the sea. Just a little further down the coast, lies the town of Pieve Ligure and the Oratory of St. Anthony Abbot. From Pieve Ligure, the Aurelia continues to Recco. 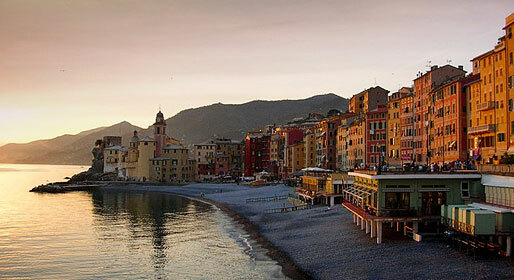 Severely damaged by 2nd world war bombing, Recco is now one of the newest-looking towns in Liguria. From the fashionable "Boulevard Italia" you can admire the luxury yachts moored in the harbor. 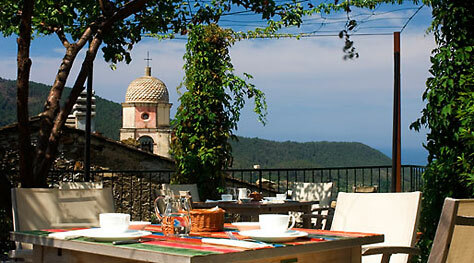 Known as Liguria's "gastronomic capital", Recco is famous for its foccacia filled with cheese. There is even a foccacia festival held here. 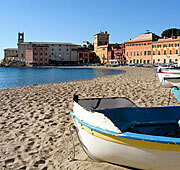 Another unusual festuval is held in neighboring Camogli. During Camogli's Sagra del Pesce, fish is cooked in huge pans and distributed amongst the onlookers. The town is bound to the sea and, until the relatively recent arrival of tourism, its inhabitants depended entirely on fishing and boat building for their living. This ancient bond is celebrated in town's Maritime Museum. From Camogli, the only way to reach the 8th century Abbey of San Fruttuoso is on foot or by sea. Continuing down the coast along the beautiful Gulf of Tigullio, leave the Aurelia to visit Santa Margherita, one of Liguria's most elegant seaside resorts, famous for its tree lined boulevards, luxury hotels and picturesque harbor. 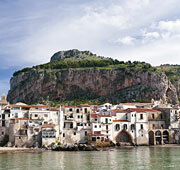 In 1560, Galeazzo Alessi built an imposing villa on the hill above the town. The villa now houses an important art collection. The Cervara Abbey lies just off your route to Portofino. Built in 1361, the abbey was later transformed in to a stronghold. Many prominent people stayed here as guests - or prisoners! Today the abbey, which has been decreed National Monument, is privately owned. 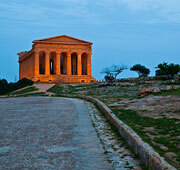 Prestigious celebrations, conferences, exhibitions and concerts are held here. And finally, to finish, two contrasting Italys: the glamorous seaside resort of Portofino, the exclusive playground of the rich and famous, and the Monte di Portofino Nature Park, home to 700 different species of plant, as well as red squirrels, foxes, and porcupines.